The Uri terrorist attack on the Indian Army base on September 18, which killed twenty soldiers and wounded thirty five, has once again brought to the fore Pakistan’s continued use of terrorism as state policy against India. According to the latest reports, all four terrorists involved in the Uri attack came from a terrorist training camp situated in Pakistan-occupied Kashmir. Consequently, the attack has underscored the fact that Pakistan is in no mood to reciprocate India’s efforts to develop at least a working relationship, thereby promoting a peaceful security environment in the South Asia region. Over last two and half years, Prime Minister Narendra Modi has made efforts to improve relations with Pakistan under his neighborhood first policy.” He invited Prime Minister Nawaz Sharif for his government’s swearing in ceremony in New Delhi in 2014, and dropped by Lahore for Sharif’s birthday in December last year, showing his desire to travel extra miles to engage Pakistan. This became more apparent when Prime Minister Modi appeared determined not to allow the Pathankot attack to negatively impact the ongoing peace process between the two countries and even granted permission to the Pakistani investigating team to visit Pathankot. Pakistan, however, has reciprocated with a series of steps that have damaged relations. When the Indian government provided clear evidence to the Pakistani investigating team showing the involvement of the terrorist organization LeT, the Sharif government refused to act against LeT mastermind Masood Azhar. Nor did it allow India’s National Investigating Team to visit Pakistan. Pakistan was also involved in the political unrest which emerged following the killing of LeT terrorist Burhan Wani. And Prime Minister Sharif’s decision to send its 21 parliamentarian to different parts of the world to raise the issue of human rights violations in the Indian state of Jammu & Kashmir angered the Indian government. Why are Pak-backed militants now targeting Indian security forces (and not civilians like before)? If the Mumbai terror attack of 2008 was the symbol of Indo-Pak tension during Manmohan Singh’s tenure as Prime Minister, for Modi it’s been a militant attack on an army brigade headquarters in Uri, Jammu and Kashmir on September 18. The Uri attack led the Indian Army to conduct surgical strikes inside Pakistan-occupied Kashmir on September 29 – the first time Delhi admitted to crossing the Line of Control since it came into being in 1972. The harsh Indian reaction was unexpected but not unjustified given the scale of the Uri attack: 19 soldiers died and the assault was the deadliest against Indian security forces in Kashmir in two decades. The attack on the Indian Army camp in Uri is not an isolated incident. Just three months earlier, there was an attack on Central Reserve Police Force personnel near Pampore that killed eight jawans. In December, 2015, militants struck at the Indian Army’s 31 Field Regiment Ordinance Camp, also in Uri. One Lieutenant Colonel and seven soldiers of the Army along with one assistant sub inspector and two constables of the Jammu and Kashmir Police were killed. In fact, although it's only been a week since India carried out its surgical strikes, militants have already attacked two Indian military camps in Kashmir since then. These incidents represent a change in Pakistan’s approach to “bleed India through a thousand cuts”. While earlier, Rawalpindi was more than willing to attack Indian civilians, Indian policy and internal censure has forced it to scale back on its support to terror that harms non-combatants. However, its support to militants attacking the Indian security forces still seems to continue. General Eisenhower had said that the essence of successful warfare is secrecy; the essence of successful journalism is publicity. We live in an era wherein the fourth estate has become a larger than life entity, moulding perceptions of the viewers, readers, listeners to suit their business interests. Mahatma Gandhi opined that one of the objects of a newspaper is to understand the popular feelings and give expression to it, another is to arouse among people certain desirable sentiments, and the third is fearlessly to express popular defects. To express popular defects fearlessly has made media a powerful manipulative tool in the hands of corporate houses, using which truth is suppressed and propaganda stories make it to the primetime. If we take a closer look at the ongoing debate around the surgical strikes, the aftermath of Uri Terror attacks we will be able to get a fair amount of idea about how newsrooms have turned into battlefields. The task of a news anchor or reporter is primarily to inform the masses about what is happening in the world they live in. However, news channels today, in the mad race to win the number one position in the TRP game are designing their news programs in a manner which is almost like a 3D version of any event. Dramatic recreation, props, animations, background music are all used to catch the viewers attention. Let me emphasise yet again that the task of the anchor/journalist is to inform the viewers and maintain a neutral stand on the issue they are reporting on. This however is no longer the case. There has been a pragmatic paradigm shift in the way war reporters’ pitch in their reports today. Some report from the battlefield taking risks, some sit in the studios with eminent speakers moderating debates on national security and defence. As I write this, a local journalist was injured as Pakistan continues to indulge in firing and heavy shelling along the Line of Control. Some are asking for proofs of surgical attacks. So does the credibility of war depend on whether it has been communicated to the world or not? The relative stabilisation of India-Pakistan relations following the US intervention in Afghanistan was an exception rather than the norm. The recent developments in the region indicate a return to the old patterns of rivalry, with added complexities for proxy wars beyond Kashmir. When theE United States was drawing down troops from Afghanistan in December 2014, there was much debate about the possible implications of this development on the South Asian security landscape, especially the India-Pakistan rivalry. 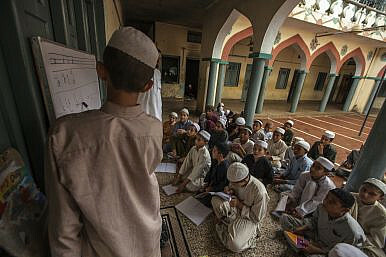 The period following the US intervention in Afghanistan witnessed relative stabilisation of the political disputes, territorial conflicts, and border hostilities between India and Pakistan. On its part, the US made sure that the regional animosity between the two South Asian arch-foes did not undermine its mission in Afghanistan. Washington used its diplomatic clout and other means to keep the trouble-prone Indo-Pak ties on the course of normalisation. The academic analyses and opinions of policymakers diverged widely on the possible impact of the US drawdown on South Asia. One school of thought argued that the US presence fundamentally altered the realities of the region. During this period, the American role as a mediator between India and Pakistan made conventional war between the two neighbours unlikely because it would be a costly option. Among the factors are the introduction of several confidence building measures; the 2003 border ceasefire agreement; Pakistani assurances to clampdown on anti-India militant groups, and stop cross-border infiltration in the Indian Kashmir; along with expansion and improvement of the nuclear programmes of the two countries. Over three weeks ago, the United States solemnly remembered the attacks of 9/11 and the 15 years that have passed since that fateful day. America can never forget that day, but with this week comes the opportunity to reflect on what followed the terrorist attacks: the military response, known officially as Operation Enduring Freedom. For me, that involved a very long flight on one of the most important and capable platforms in the American arsenal. The lessons of that night, as well as other post-Cold War air campaigns, reinforce the centrality of stealthy long-range strike to U.S. power. On October 7, 2001, after the Taliban refused to give up Al Qaeda elements operating within their country, the United States began military operations. The first night’s strikes began like previous air campaigns in the post-Cold War era — with long-range strike. B-1 Lancer bombers and B-52 Stratofortress bombers launched from the island of Diego Garcia in the Indian Ocean, flying 16-plus hour missions, to strike targets in Afghanistan and return to the British isle. The day prior, two B-2 stealth bombers took off from Whiteman Air Force Base in Missouri to fly 36 hours across the Pacific Ocean and up the Indian Ocean into Afghanistan. The stealth bombers would strike targets throughout Afghanistan, in conjunction with the bombers flying from Diego Garcia, and then returned to the same island making the entire trip over 40 hours. On Diego Garcia, the B-2 crews would exit their aircraft, with engines running, and a fresh crew climbed aboard to pilot the aircraft on their 30-hour return flight to Missouri. Rahul Gandhi took on Modi days after praising him, and Barack Obama declared a state of emergency in Florida because of Hurricane Matthew. ‘Extraordinary exchange’ between Pakistan civilian leaders and military over militant groups, reports Dawn: The civilian government warned of the country’s increasing international isolation and asked the Army to assist in cracking down on militants in the country. Rahul Gandhi’s ‘dalali’ jibe at Narendra Modi a ‘new low in politics’, says BJP: The Congress vice president had said the prime minister was exploiting the sacrifices of soldiers for political gains since the Army's surgical strikes. Barack Obama declares emergency in Florida as Hurricane Matthew inches closer: Governor Rick Scott issued an evacuation order to 1.5 million residents, fearing ‘catastrophic damage’ by the category 4 storm. Spectrum auction ends with bids worth Rs 65,790 crore, only 40% of airwaves for sale bought: The figure is much below the government target of Rs 5.6 lakh crore, and unsold frequencies may be re-auctioned at a reduced price later. Terror attack warning at 22 airports in four states as well as Delhi: Intelligence agencies issued the alert in the border states of Jammu and Kashmir, Punjab, Rajasthan and Gujarat. India ‘forged’ footage of Army official confirming surgical strikes, says Pakistan: The foreign affairs ministry said General Ghulam Akhbar had denied speaking to any Indian channel about the Indian Army’s operation along the LoC. Jayalalithaa requires a longer stay in hospital, says Apollo: A statement from the facility said the Tamil Nadu chief minister's health continues to improve, and she is making gradual progress. China had first put a technical hold on this issue in April this year, which was to expire on October 3.The explanation from the Chinese Foreign Ministry spokesman, eng Shuang was that there were still different views on India’s listing of the application, and that the new technical hold would allow more time for the Committee to deliberate on the matter and for relevant parties to have further consultations. No other party in the Committee has openly stated any apprehension over the Indian application. Even if China was considering lifting the technical hold on Masood Azhar, it cannot do so at this critical moment. Pakistan stands globally exposed on the terrorism issue. India’s political and diplomatic offensive over the Uri attack, which is part of a chain of terror attacks, from the 26/11 Mumbai attack in 2008 onwards, has opened the eyes of the global community, especially those states who have suffered such attacks in recent years. Footprints of such attackers somehow lead to Pakistan. Loud calls are emanating from people in the USA and UK to declare Pakistan a terrorist state. Russia, which has strategic relations with China, has strongly supported the surgical strike by the Indian forces to take out Pak-backed terrorists preparing to cross into India. The international community has noticed the qualitative shift in the Indian government addressing Pakistan sponsored terrorism. Although similar surgical strikes by the Indian forces have taken place in the past, they were kept within the confines of the army and leaders in relevant ministries. This time, however, Prime Minister Narendra Modi, pressured by the country’s outrage and demand for action, decided to take the ownership and give political legitimacy to the army action. The arrest of an Iranian official in Afghanistan in late August for “recruiting Afghan Shiite fighters and sending them to Syria” illustrates how the Middle East’s Sunni-Shia battle for dominance has found renewed fervor in South Asia. The Iranan official, Qurban Ghalambor is a representative of Iran Supreme Leader Ali Khamenei’s office. Afghan officials say Iran has created a new brigade of Afghan and Pakistani fighters led by the Iranian Revolutionary Guard Corps to help efforts to prop up Syrian dictator Bashar al-Assad. The Islamic Republic’s recruitment of Shia Muslims is fueling increased sectarian attacks by the Islamic State (ISIS) and affiliated terrorist groups.Enjoying this article? Click here to subscribe for full access. Just $5 a month. A deadly suicide bombing in July claimed by ISIS, for example, was allegedly perpetrated in retaliation to the recruitment of hundreds of Shia Hazaras by Iran to fight the terrorist group in Syria. “Unless they stop going to Syria and stop being slaves of Iran, we will definitely continue such attacks,” an ISIS commander was reportedto have told Reuters. The bomb attack on a peaceful demonstration mostly attended by members of the Shiite Hazara minority in Kabul killed 80 people and wounded more than 260 others. Sunni-Shia tensions in the region are also being inflamed by the financial support Saudi Arabia and other Gulf states allegedly give to sectarian terrorist groups such as Lashkar-e-Jhangvi (LeJ). The group claimed responsibility for a suicide attack that killed 24 people in a religious procession during the Shia Ashura festival last October in Jacobabad in Pakistan’s Sindh province. LeJ has connections to the Islamic State and has been responsible for deadly sectarian attacks inside Pakistan. Tehran’s recruitment of Shia Muslims to fight in Syria and Iraq, and Riyadh’s funding of Sunni terrorist groups are intensifying the Saudi-Iran rivalry for influence in the region and radicalizing local Muslim populations. (FPRI) — Under its Silk Road Economic Belt and the 21st-Century Maritime Silk Road (commonly known as the “One Belt, One Road” initiative) China has sought to build a network of infrastructure projects across Eurasia to encourage trade. At first glance, it seems that all those involved should benefit. Chinese loans would kick start the construction of the infrastructure projects. Developing countries, in which the projects are built, would profit as transshipment points and from the development of new industries that could plug into international supply chains. Revenues from the resultant economic growth would then repay the Chinese loans, with interest. That all sounds rosy. That is, if the new infrastructure network is used. The mere existence of roads and ports does not ensure that trade will flourish. Certainly economic growth at either end of the network would help. But at the moment the economies of both China and Europe are slowing. Indeed, global economic activity is slowing. If there is not enough trade to make the new infrastructure profitable, then the benefits from the “One Belt, One Road” initiative only flows in one direction: China. On 12 July 2016 a tribunal in The Hague rebuked China’s expansive claim to sovereignty over the South China Sea. Laws, however, are not self-enforcing, and China has made clear that it will not be bound by the rulings of a “puppet” court half a world away. Many analysts believe China will eventually take control of the South China Sea and impose its own version of the Monroe Doctrine. How close is China to achieving this goal? In the past 150 years, only two nations have achieved regional maritime hegemony: Japan for a brief period in the 1930s and early 1940s; and the United States from the 1890s to the present. The US and Japanese cases suggest China would need two things to enforce its claim to the South China Sea: a regional monopoly of naval power and a military presence on the landmasses surrounding the Sea. The US and imperial Japanese navies accounted for 90 to 100 percent of the naval tonnage in their respective regions, and both nations strung military bases around their maritime domains and forcibly prevented their neighbors from amassing naval power. China today is nowhere close to achieving this level of dominance. China’s navy accounts for less than 30 percent of Asia’s naval tonnage, and China’s maritime neighbors are collectively matching increases in Chinese military spending and holdings of modern submarines, ships, aircraft, and coast guard vessels. Iran-Russia relations have reached an unprecedented peak, fueled by military cooperation in Syria, a shared vision of the global order, and mutual criticism of Western policy in the Middle East. Tehran is a useful ally to Moscow in a highly unstable region, but it is just one thread in Moscow’s patchwork of important relationships that need careful balancing. Moscow offers Tehran a critical means of protecting its regional security interests. However, Iran’s leadership is divided on how best to hedge bets between Eastern and Western powers to achieve the country’s strategic objectives. Despite their differences, the war in Syria looks set to be the crucible of Moscow-Tehran cooperation for some time to come, given its centrality to the strategic ambitions of both parties. Instead of pursuing policies that attempt to exploit divisions between Iran and Russia, Europe should use its limited leverage to reduce violence in Syria and, if possible, pave road for political transition later down the road. This can only happen with better understanding of the drivers of Iran and Russia's policy in the region. Over the past year, Russia and Iran have entered a new phase of military cooperation unprecedented in their relations since the end of World War II. As a result of Russian intervention in Syria, their armed forces are planning operations and fighting together in support of Bashar al-Assad’s government. In August, Russia began sending a wave of strategic bombers into Syria from an Iranian airbase. As intended, this caught the world’s attention. It sent a bold signal to the West that both were committed to safeguarding their interests in Syria despite the costs, and was a rare instance of the Islamic Republic authorising action by a foreign power on its soil. This latest cooperation represents a substantial deepening of the political and defence ties between the two countries ushered in by Vladimir Putin on his return to the Russian presidency, and of links marked by an expanding arms trade over the past three decades. The U.S. military’s phasing construct is ill-suited for today’s challenges. Editor’s Note: This article is the first of a new series in which thinkers from the Center for a New American Security (CNAS) will explore the U.S. military’s phasing construct and the line between war and peace. From Chinese expansion in the South China Sea, to Russian aggression in the Ukraine, to Iranian activities across the Middle East, many of the U.S. military’s toughest challenges today are not “war” as we traditionally define it. They aren’t peace either. They lie in a “gray zone,” as many have called these situations, somewhere in between. The United States struggles to meet these challenges. They fall below the threshold for triggering a violent response, which of course is no coincidence. U.S. adversaries intend to operate in this gray space, where they can advance their objectives through coercion and intimidation, changing facts on the ground while exploiting the ambiguity of their actions to avoid triggering an overt U.S. military response. One of the challenges of competing in gray zones is that the U.S. military is sub-optimized – conceptually and organizationally – to do so short of conflict. The Pentagon’s dominant paradigm for allocating resources and granting authorities centers around operation plans (OPLANS), which generally address major conflict. To counter gray-zone tactics, combatant commanders need the right authorities, resources, and plans. But the fact that these may not lead to major combat operations actually throws a wrench in the way that Pentagon plans. If counter-gray zone approaches work, they would secure U.S. objectives without resorting to major war. Yet even the term the U.S. military uses to refer to steady-state military “shaping” operations, “phase 0,” implies that they are the starting point for a larger multi-phase campaign. A moderator given to plain speaking might have said this: "Explain why the United States keeps such a large arsenal of nuclear weapons and when you might consider using those weapons." Recent commercial satellite imagery of the Punggye-ri Nuclear Test Site from October 1 indicates continuing activity at all three tunnel complexes that could be used to conduct a nuclear test. Activity at the North Portal where the September 5 test occurred, may be for a number of purposes including collecting post-test data, sealing the portal or preparing for another test. There is also increased activity near one of the two entrances at the South Portal where excavation stopped in 2012. The purpose of this activity is also unclear although the portal is assumed to be capable of supporting a nuclear test once a decision is made to move forward. 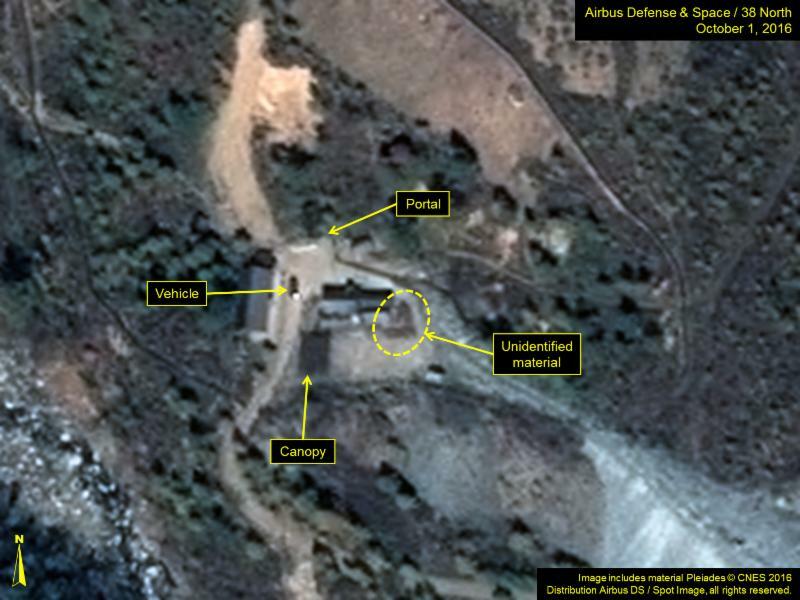 Commercial satellite imagery from October 1 shows a large vehicle, possibly a truck, near the entrance of the North Portal. The large canopy in the parking lot that has been present for the past two months remains in place. There is no evidence of new excavation but there appear to be boxes or material around the side of the main building. One possible reason for this activity is to collect data on the September 5 test although other purposes cannot be ruled out, such as sealing the portal or other preparations related to a new test. Read the full article and view imagery at 38 North. Do the Russians Have a Spy Base Inside Serbia? NIS, Serbia – In the command room there are large surveillance screens, in the warehouse rescue equipment; an unfinished gray concrete building serves as a training site. Is this a Russian-run disaster relief center in Serbia as Moscow claims, or is it an outpost for Kremlin spies in the heart of the Balkans? Some Western NGOs and military analysts say the Russians have created a thinly disguised military base that is eavesdropping on American military interests in the Balkans. While Serbia is still close to Russia, its neighbors are increasingly distrustful of Moscow’s intentions and presence, especially ex-Soviet bloc states like Bulgaria, Romania and Hungary, which suffered under iron-fist communist rule for decades after World War II. If it is a military operation, the base would be the Kremlin’s first in Europe outside the former Soviet Union since the collapse of the Warsaw Pact in the early 1990s. The Western analysts say the base — jointly run by the Serbian and Russian governments and located near an airport in the southern Serbian town of Nis — is the Kremlin’s response to NATO’s expansion in the region. Every country around Serbia is either in the Western military alliance or wants to be. The Russian partner in the center is its Ministry for Emergency Situations, a powerful semi-military outfit whose activities do include disaster relief, but it also carries out jobs for Russia’s security services. The ministry has long played a role in Serbia, including de-mining and clearing of unexploded ordnance from the 1999 NATO bombing of Serbia. 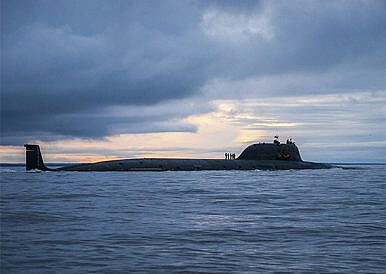 Three new submarines were officially laid down at the Sevmash shipyard in Severodvinsk, a port city on Russia’s White Sea a few weeks ago, according to Russian media reports. Laying down formally kicks off a ship’s construction with a ceremony. The three submarines include the second improved variant of the Borei-class of nuclear powered ballistic missile submarines (SSBN), the Project 955A Borei II Knyaz Oleg slated to join Russia’s Pacific Fleet in 2018-19; a new Yasen-class multi-purpose attack nuclear submarine (SSGN), the Krasnoyarsk with an unknown completion date, and a mysterious new sub known as Khabarovsk also identified as Project 0951. “[U]nder the state arms program endorsed by you and in compliance with the schedule set by the Russian Ministry of Defense, Sevmash laid down three new atomic submarines – the Knyaz Oleg, which is the fifthBorei, the Khabarovsk and one more Yasen, the modernized project 885M,” the director general of Sevmash, Mikhail Budnichenko said during a videoconference session with Russian President Vladimir Putin in late July, TASS news agency reports.Enjoying this article? Click here to subscribe for full access. Just $5 a month. Is America About to Go to War in Syria? Here we go again. The Obama administration is caught in the same debate that seems to repeat itself about every six months: is it time for the United States to intervene militarily against Assad in order to save the opposition from petering out? The National Security Council reportedly reviewed that question this past Wednesday when options ranging from more economic sanctions on Russia to selective airstrikes on Syrian air force bases were discussed. President Obama has never particularly cared what his critics think of his foreign policy or his Syria policy, but calls for greater and deeper military involvement in the conflict are now beginning to emanate on Capitol Hill from both parties. A plea for the U.S. to stop the slaughter in Aleppo and hold Bashar al-Assad accountable for his crimes of humanity is no longer an argument simply being made by the likes of Sens. John McCain and Lindsey Graham—although McCain is certainly the most consistent advocate for more aggressive American action in the war. Instead, it’s now a call made—or at least suggested—in coded terms from the Obama’s biggest foreign policy allies on the Hill: Sens. Tim Kaine, Jeanne Shaheen, and Ben Cardin. The question that has yet to be answered, however, is whether this increasingly hawkish rhetoric on Syria is pervasive enough in both parties and in both houses of Congress to allow Obama to order U.S. airstrikes on Syrian military installations without severe political blowback at home. The horror and shock of the chemical weapons attack on civilians in the Damascus suburbs in the summer of 2013 was a galvanizing moment for many in Washington—the worst chemical weapons attack since Saddam Hussein’s gassing of the Kurds twenty-five years earlier. Recognizing that any military action against the Syrian government would need buy-in from America’s elected representatives, the Obama administration correctly decided to ask Congress for a statutory authorization before the first missiles were fired in retaliation. Less than two weeks after the chemical attacks, it became obvious that congressional support simply wasn’t there for providing the White House with that kind of authority. All of this, despite heartfelt statements issued by members of Congress about standing up for international human rights and humanitarian law and the absolute necessity to hold a war criminal responsible. When it came time to vote, the votes for action simply weren’t there. However therapeutic and tempting, especially during election season and after Russia’s direct complicity in the Syria horror, the understandable impulse to confront and isolate President Vladamir Putin’s Russia is not wise policy. Notwithstanding the many areas of altercation as well as the doomed attempt by President Obama and Secretary of State Hillary Clinton to “reset” U.S.-Russia relations after the George W. Bush administration, the next president should pursue a dual strategy designed both to challenge Putin where U.S. national interests demand it but find areas of collaboration where interests coincide. The United States should pursue confrontation where necessary and mutual interests without illusions where possible. Wisdom begins by recognizing Putin’s assumptions, interests, and personal style since he is now the sole author of Russia’s policy. At best, deeply suspicious of and at worst resentful of and adversarial toward the United States, Putin will lose few opportunities for provocation, even belligerence. He blames the West in general but particularly the United States for the dissolution of the Soviet Union and for belittling its heir, Russia. The subsequent expansion of NATO and the EU into Central Europe and the Baltics to the borders of Russia’s immediate neighbors presents to him both a security and a psychological assault, a demeaning of and affront to Russia during its weakness. He holds U.S. support, especially by then-Secretary of State Hillary Clinton, responsible for domestic dissidents and the demonstrations against the legitimacy of the 2011 Duma elections and his own election in 2012, prompting his crackdown on domestic NGOs, media, and critics. Until the collapse of the Berlin Wall and the East German regime, he spent five years in Dresden as a KGB agent trained to probe and then exploit weaknesses in Western political elites. He begrudges the United States and (to a lesser extent) Europe even as he once apparently contemplated an affinity with both. The Army is taking the old adage of "learning by doing" to heart. As the Army looks to integrate cyber capabilities into its broader operational construct of land and air battle — as well as converging cyberspace activity with signal and electronic warfare — it is undertaking a series of tests and experiments to develop doctrine, tactics, techniques and procedures for the future. During a media round table with C4ISRNET at the annual Association of the United States Army conference, the deputy to the commanding general of Army Cyber Command, Ronald Pontius, said the service is "working at Army Cyber Command and parts of our Training and Doctrine Command and Forces Command; we’re running a series of pilots or experiments at our combat training centers,” noting that two took place last year at Fort Polk and two this year at the National Training Center. He was billed as a ‘Second Snowden’ and worked with the NSA’s most skilled hackers. But Hal Martin may have taken classified information just to help him get through school. Martin was charged with two counts of mishandling classified information and theft of government property. According to the New York Times, which first reported his arrest, the FBI is investigating whether Martin stole classified computer codes that the NSA uses to break into foreign networks. The FBI discovered the material at Martin’s home in Maryland.